Cholla Needles Arts & Literary Library: Our Non-Profit Status is Official! Our Non-Profit Status is Official! 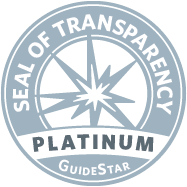 Cholla Needles Arts & Literary Library is officially a non-profit organization, and we have been certified by Guidestar with their highest level Platinum Seal Of Approval. Things are happening! June 10th Poetry Reading! Jonathan Maule! Cholla Needles - June Issue Released!